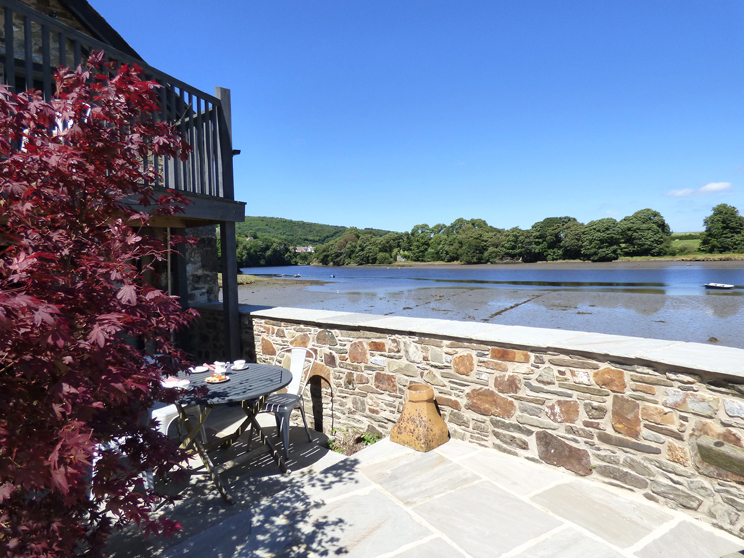 An old boathouse at the water’s edge, beautifully converted into a romantic cottage making an ideal retreat for two overlooking the Teifi Estuary. 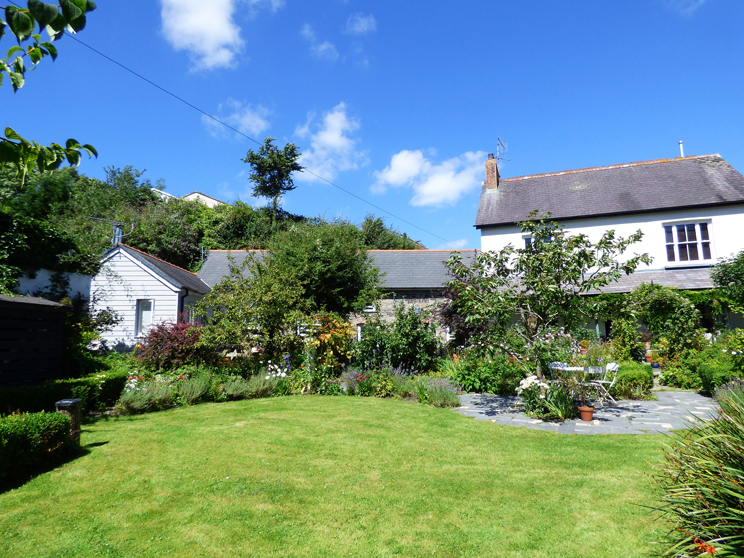 Set in the grounds of the owners’ home, Penally House, on the riverbank, approximately 2 miles from Poppit Sands and the Pembrokeshire Coastal Path, it is a birdwatchers paradise. Renovated and comfortably furnished in a stylish mix of antique and contemporary pieces reflecting its nautical history and close proximity to the water. It provides a home of atmosphere and charm especially for two. The open plan living space has a newly fitted kitchen area with practical, quality laminate flooring throughout, one step down leads to the comfortable lounge with leather sofas to cosy up on chillier evenings, French doors open to your own small paved patio, ideal for enjoying a glass of wine as you soak up the super views over the Teifi River. 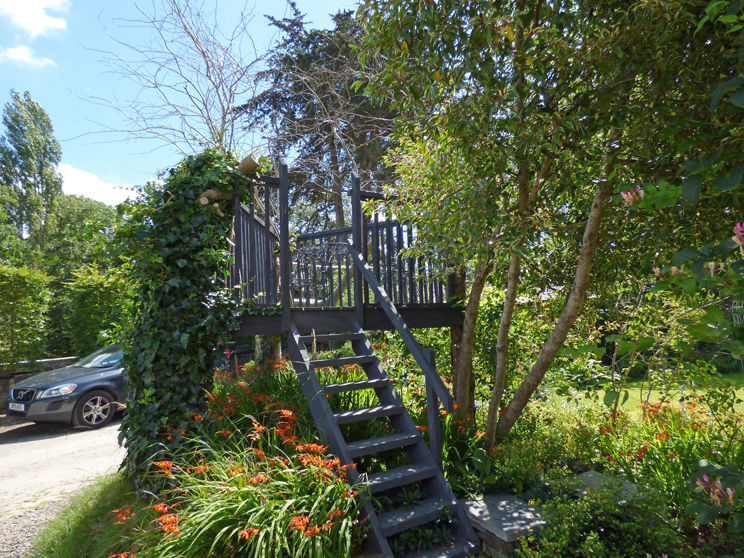 Steps lead to an elevated balcony with really stunning views over the waterway where you can sit and watch the world go by. 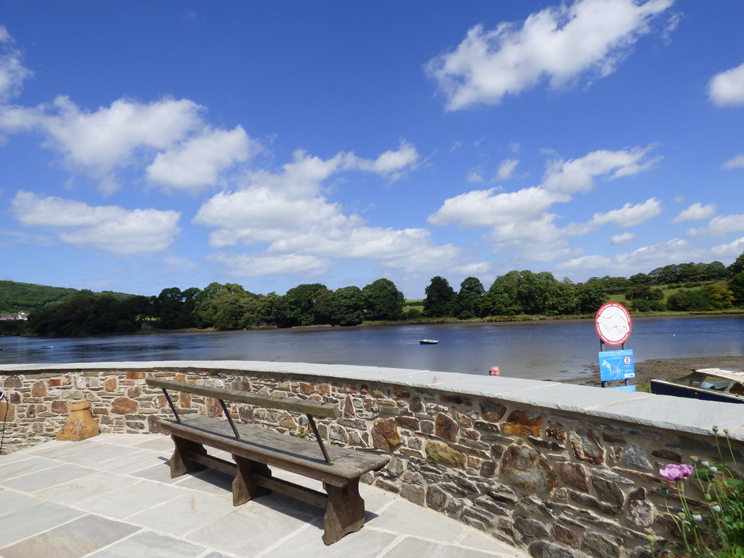 There are lots to see and do in the area, spend your days walking the river bank, visit the local watermill or take a trip into the historic town of Cardigan with its excellent theatre, farmer’s market and specialist shops. A boat trip around Cardigan Bay to see the resident Bottlenose Dolphins, Porpoises and Grey Seals should not be missed. While there is a choice of shops, pubs and a highly recommended fish ‘n’ chip shop within walking distance in St Dogmaels itself to enjoy. 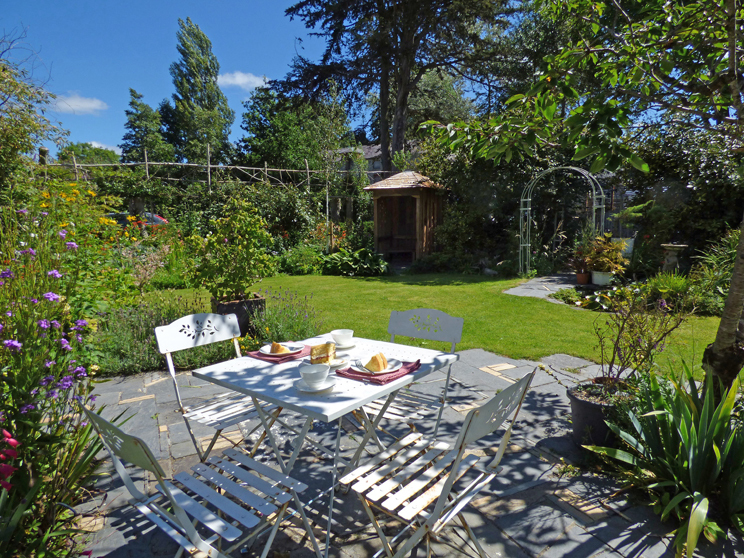 Make your holiday a special occasion and escape to this romantic cottage. 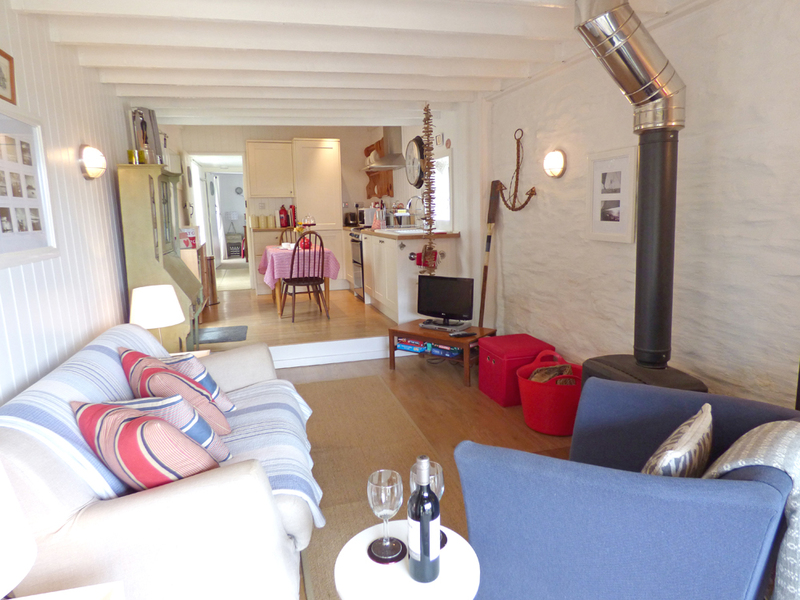 Penally Boathouse Mews Cottages A group of 2 delightful cottages and a boathouse set in the grounds of the owners home, Penally House, in an enviable position nestling on the banks of the river Teifi in the popular village of St Dogmaels. 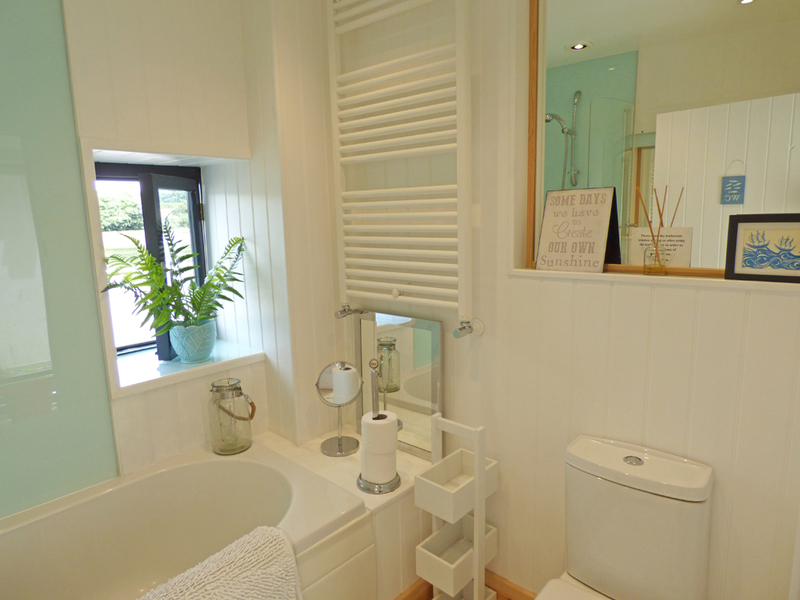 Individually and beautifully renovated to a high standard retaining a traditional feel with nautical tones. Perfect for sailing and water enthusiasts there are several good pubs in St Dogmaels as well as small shops and a renowned fish and chip shop. The long sandy beach of Poppit Sands is nearby and the start of the Coastal Path. 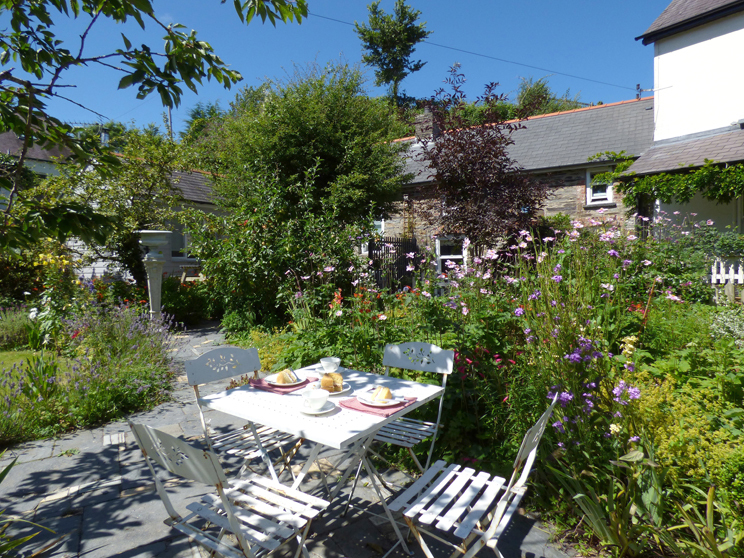 Each cottage has its own terrace or you are welcome to enjoy the owners garden, the best spot has to be the long bench overlooking the river itself, ideal to watch the bird and wildlife go by. 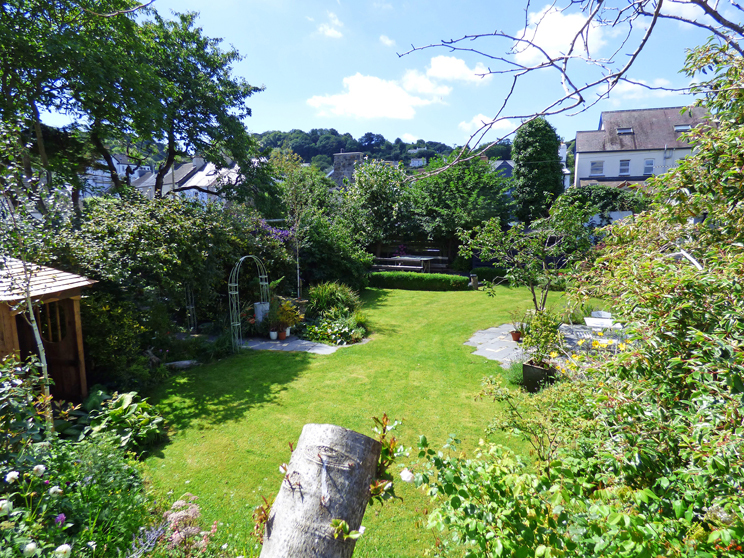 The following cottages share this location: 10856 No.1 Penally Boathouse Mews and 10998 No. 2 Penally Boathouse Mews. 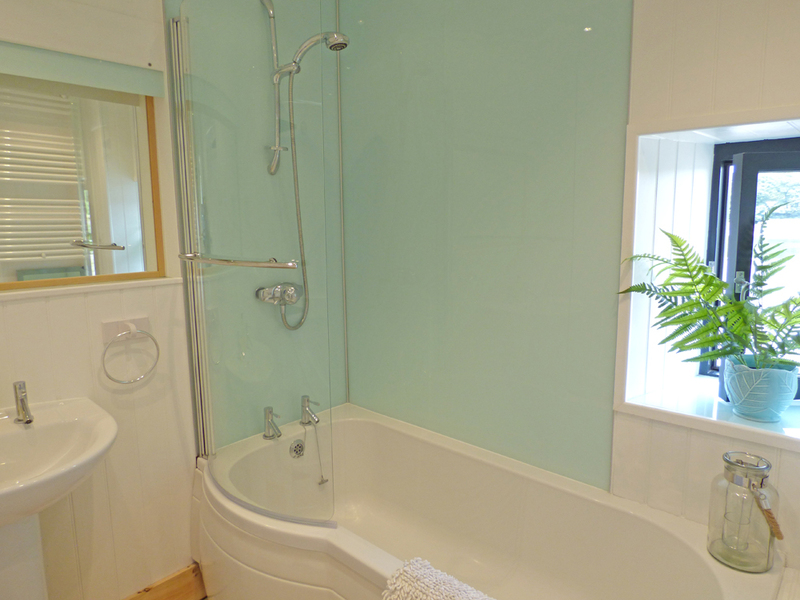 Ground Floor: Sitting/dining room, step to kitchen, step to bathroom/overhead shower/whb/wc, double room. Heating: Gas central heating, electric under floor heating in living room and kitchen. Wood burner - starter pack provided Oct - March. 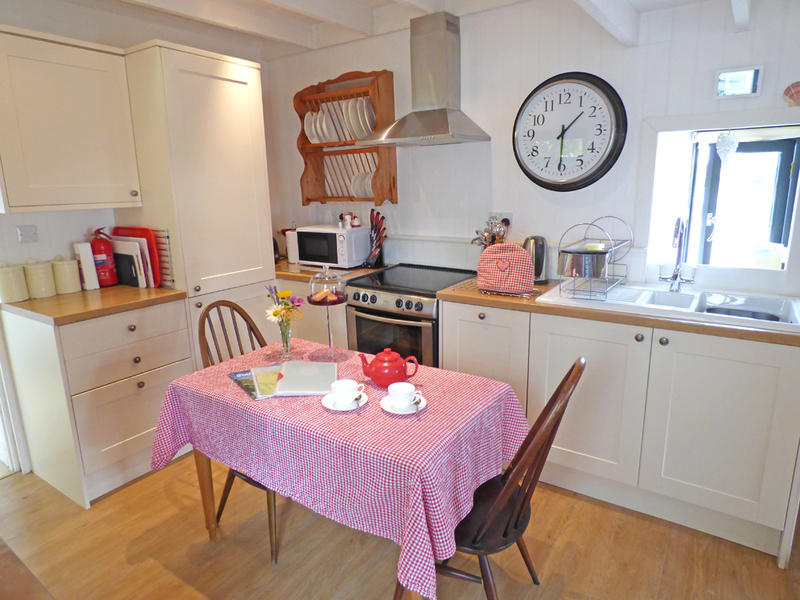 Facilities: Electric cooker, microwave, fridge/freezer, slim-line dishwasher, TV, DVD player, DAB radio/CD player, WiFi, towels. Shared laundry room/washing machine/tumble dryer/washing line. All thoroughly delightful, slept really well! Really appreciated the style of the boathouse, loved the surroundings. Felt warmed and welcomed! Beautiful! We have found this 'Boathouse' a lovely place to stay so cosy and relaxing, and the view is wonderful. We have had some lovely walks with our dog Mitzy she loved it at Poppit Sands running along the beach. Thank you for all the thought that you have put into our lovely holiday Venita and Gareth, the flowers the cake and the milk. We have really enjoyed our stay here very much. Thank you. 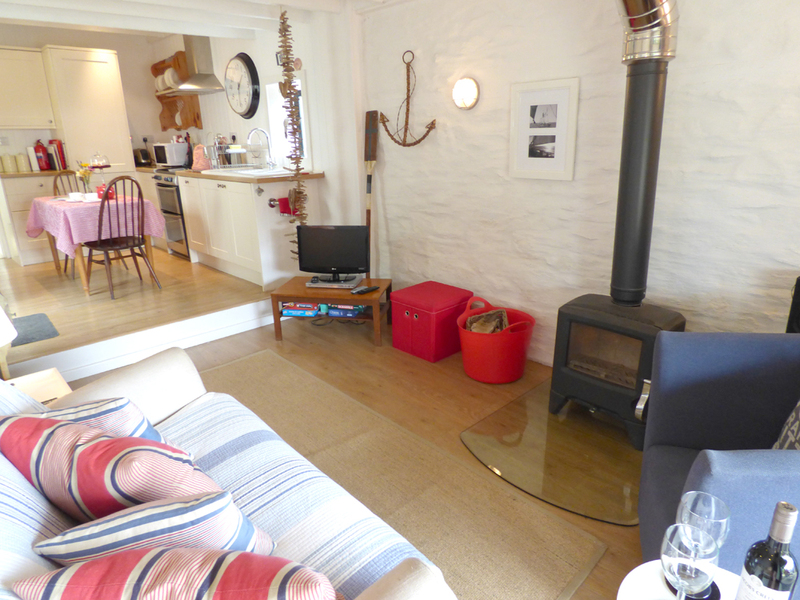 Lovely cottage equipped to a high standard, Bara Brith so welcome on our arrival-delicious! Very cosy with Woodburner. (good value logs at Aldi) Great introduction to this area of Wales. We'll be back too!! 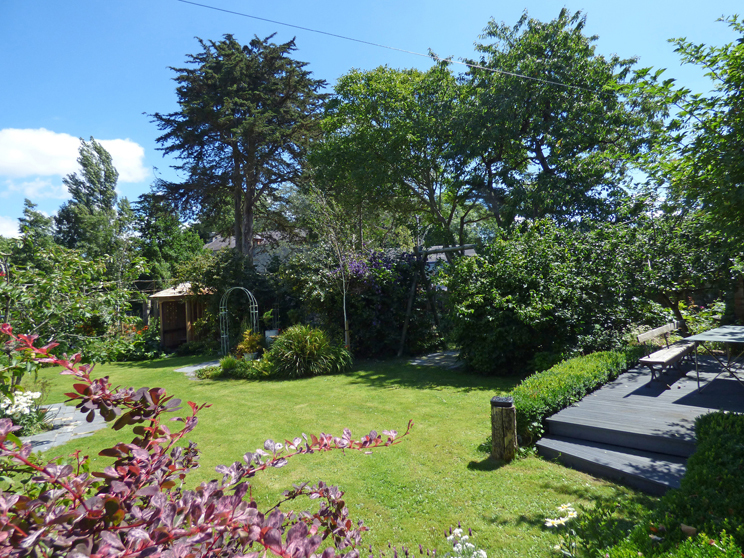 Fantastic accommodation in a brilliant location! Lots of superb walks-both along the coastal path and through the gorge at Cilgerran. Excellent Sunday lunch at the Ferry Inn. We'll be back! Perfect! Warm welcome from Venita with great tips on places to visit and eat etc. 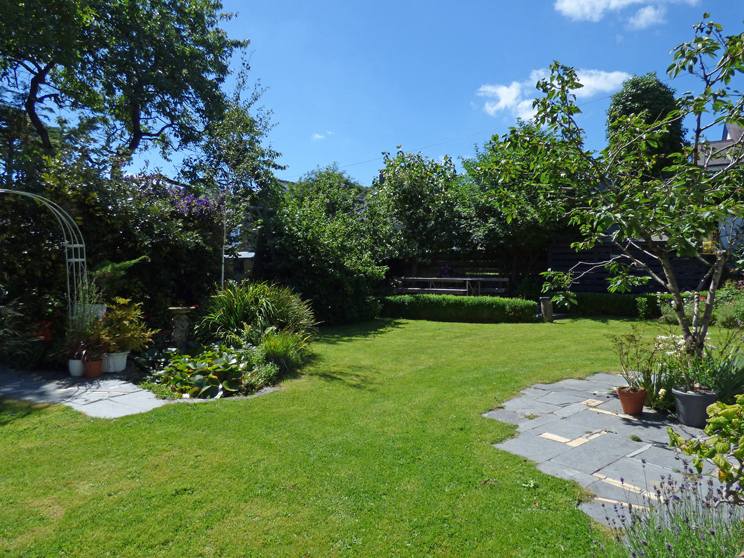 Comfortable and restful base with good local food, walks, bird life and pubs. Good Cider and Ale at the rustic White Hart Inn and Sunday lunch at the Ferry Inn was fantastic. We paid for the tour of the local flour mill and bought some bread from the flour milled there at the Tuesday Market-delicious. 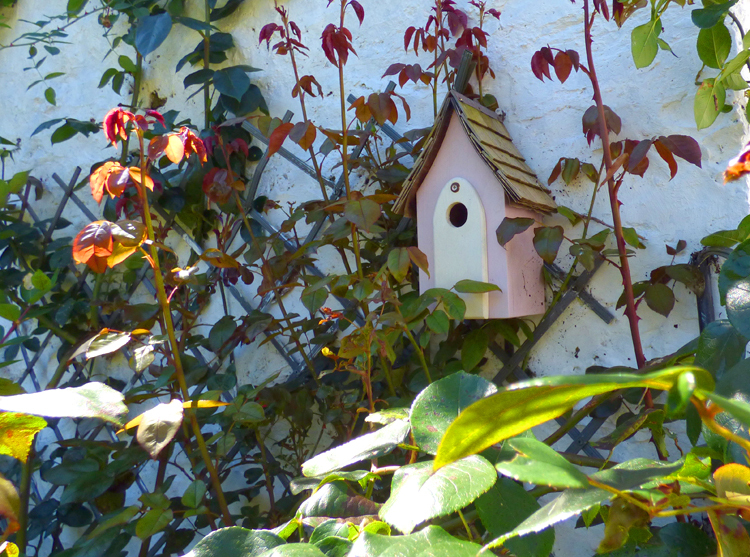 Top quality cottage in a superb location, the bird life is amazing and the weather exciting! We have thoroughly enjoyed our stay here, and hope to return, through when the days are longer we can appreciate the views properly! Thank you so much. What a fantastic little place with a brilliant location. We've had some lovely, lovely walks and lots of cosy nights in with the fire. Nice touches to leave flowers and cake and wonderful décor in the property. We arrived at 3.20 to an amazing sight. 'Boathouse' is by far the best place that we have ever stayed! The welcome most warm, by is lovely lady 'owner' she could not have been more helpful. the Boathouse is immaculate from the instance we walked into the beautiful old Boathouse! It will always have that certain flair as it has been renovated beautifully, detail is in its every corner, well done 'Venita' you have certainly acquired the look! Been around village today, walked all the way around about 4 miles. Meal at the Ferry inn! Beautiful place with beautiful people. We have thoroughly enjoyed our long weekend in this lovely boathouse. we've had a good mix of walking, exploring and resting even managed to find some local wool (in Fishguard) and two weaving mills which kept me very happy! Looking forward to looking round the flour mill and market just before we head home. Just a lovely place to spend a few days away! Friendly locals, nice pubs, beautiful walks. what more could you want? Will definitely return. We have had a wonderful time thoroughly enjoyed our time here. Beautiful setting over looking the estuary. The Boathouse was immaculate on entering and enjoying the welcome cake! Relaxing walks with the dog until by far the best place to eat 'The Ferry Inn' just at the top of the hill, excellent food. We shall return. We have been coming to the boathouse for about 8 years, and were over the moon to find how well the refurbishment had gone. What a brilliant job, can't wait to visit again. We can on reiterate what others ahve said about the 'Boathouse'. 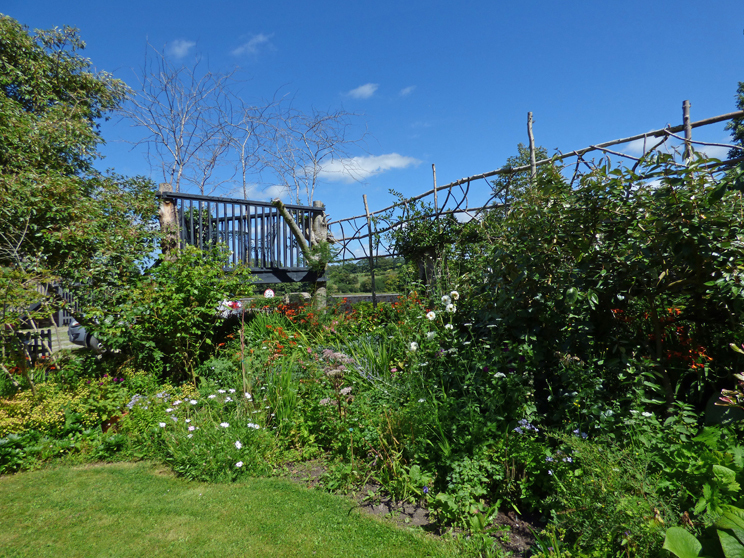 we have had a lovely few days here, very restful and it has been lovely exploring all around this area. 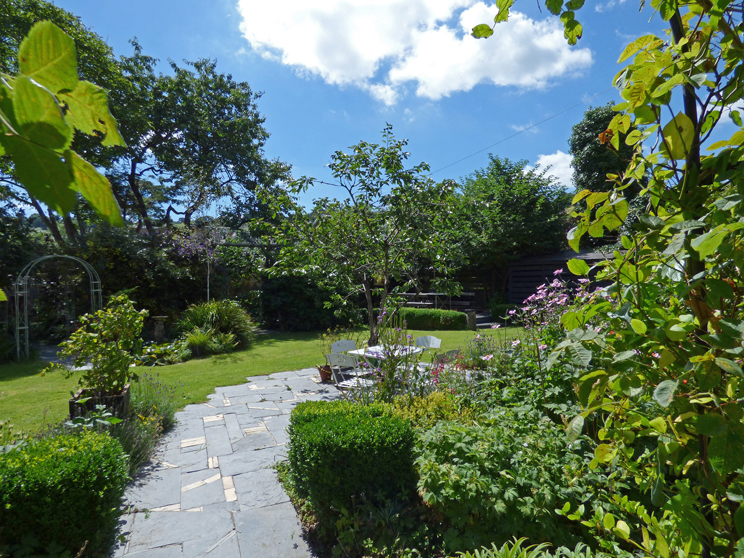 This is a beautiful property in a wonderful location, with lovely touches by the owner such as home-made cake, flowers etc. We have thoroughly enjoyed our stay & Billy adores Poppit Sands. 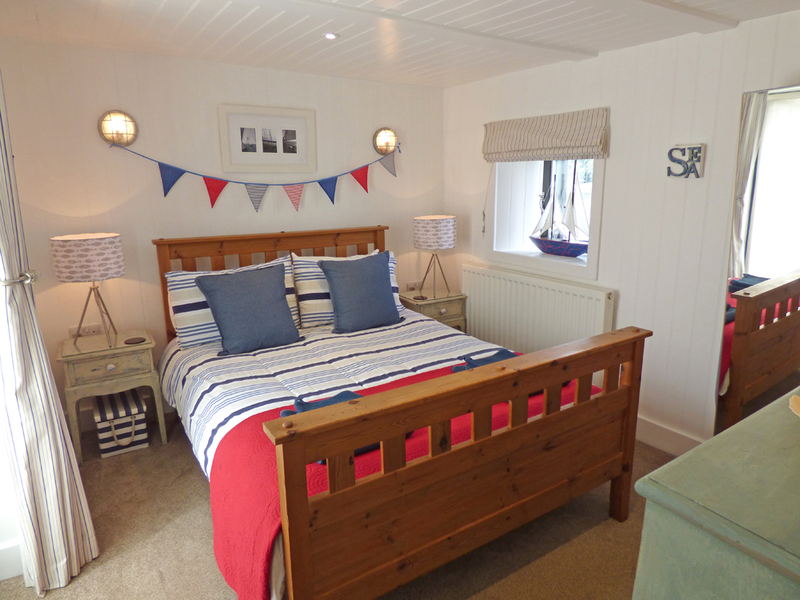 Delightful, cosy, comfortable and clean. 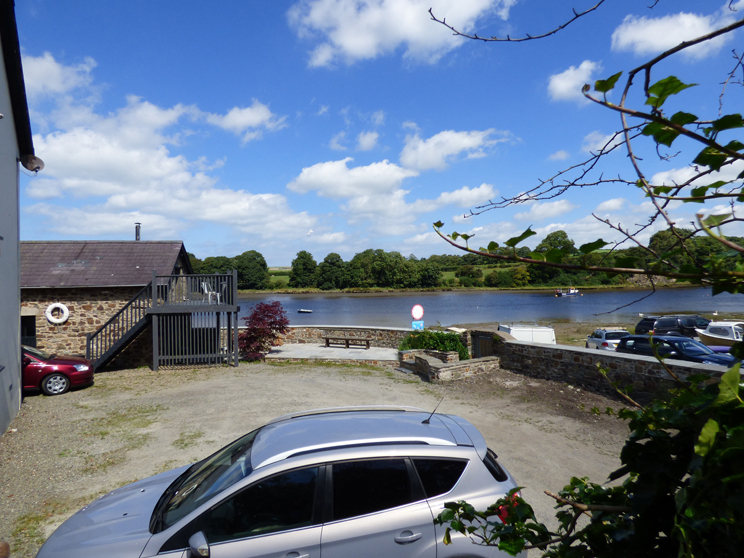 The Tefi (5 min walk along the river) is an excellent pub with good food and a warm welcome. The Ferry more of a restaurant with bar is also good with a lovely view. Wendy and Tony back again to one of our favourite places, this with son Nick, Helen and baby Alex next door in 2 Penally Boathouse Mews. an enjoyable week as always, such a pleasure to stay in this beautiful spot. thank you Venita and Gareth the cottages certainly do you credit. Looking forward to returning. All thoroughly delighted, slept really well! Really appreciated the style of The Boathouse, loved the surroundings. Felt warmed and welcomed! Beautiful! 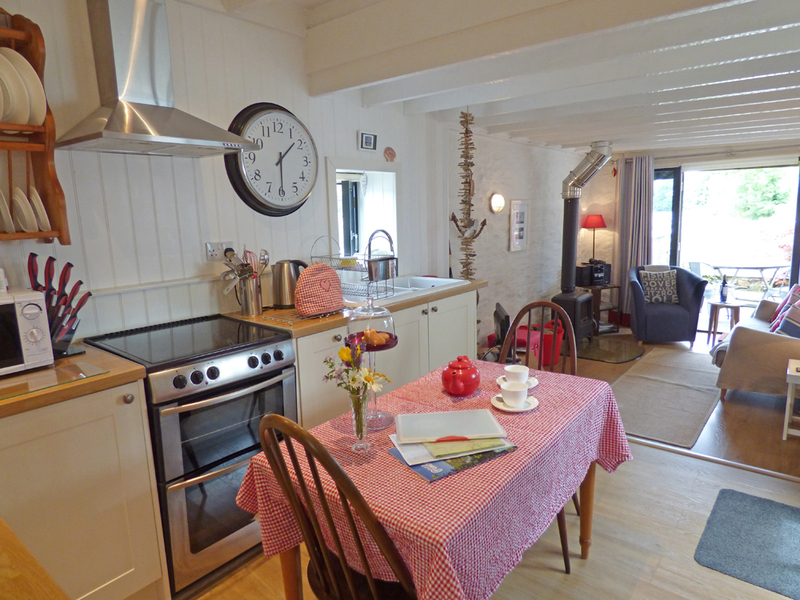 A warm welcome, top quality cottage. So relaxing, wonderful views and walks, couldn't ask for anything more everything is here. We will be back. 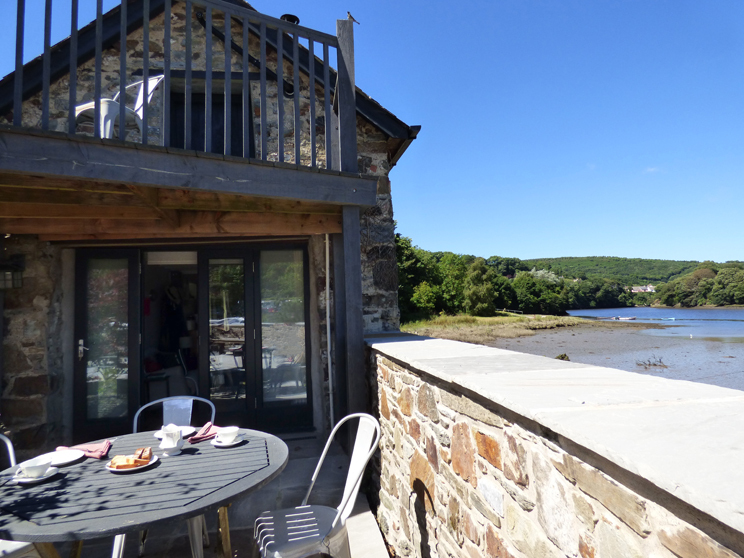 We have found The Boathouse a lovely place to stay, so cosy and relaxing and the view is wonderful. We have had some lovely walks with our dog Mitsy, she loved it at Poppit Sands running along the beach. Thank you for all the thought that you have put into our lovely holiday, the flowers, the cake and the milk. We have really enjoyed our stay here very much. Thanking you. We have come from Northern Germany to explore this part of Wales for the first time. We had a lot of walks along the impressive coast, saw castles, villages, cities and lots of other sights but in the end the Boathouse with its beautiful furnishings and lots of lovely accessories made us really feel at home.A very warm 'Thank you' to our hosts. the long voyage of nearly 30 hours (by car and ferry) from our home was worth the experience and we hope to come back to the Boathouse in the next few years. Our first visit to Wales. What a beautiful country! Thanks for the great base for exploring, milk and cake much appreciated. Poppit Sands is an excellent beach. Tuesday market has tasty fresh produce. The Marine Parade coastal walk in Fishguard has super views! What a lovely find! We have been to Wales many times but never to this part and will definitely be returning. 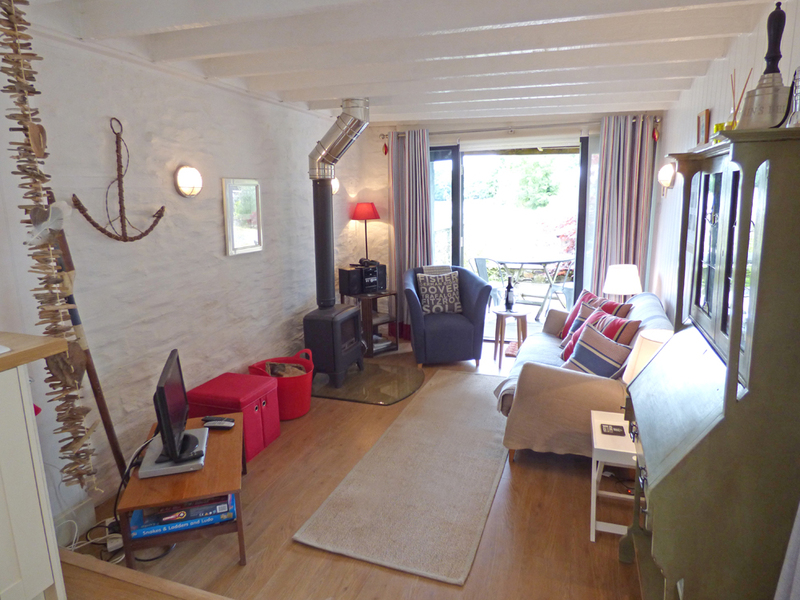 The 'Boathouse' is ideal so homely with everything we needed. 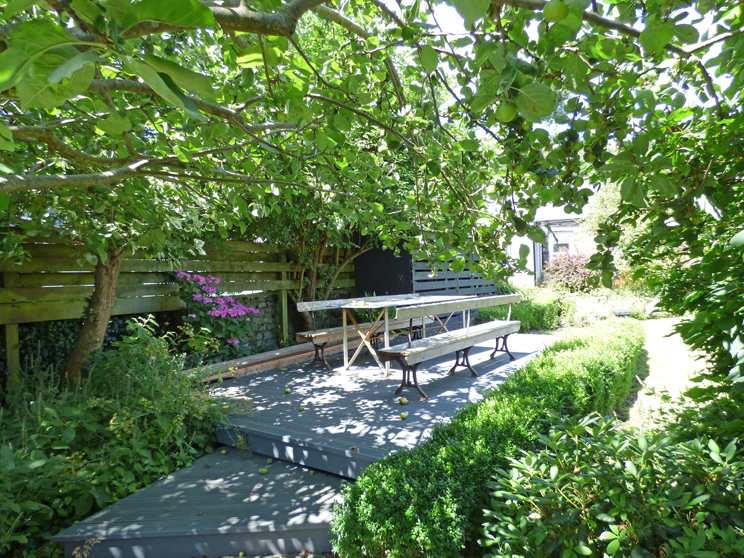 the location is perfect, what a pleasure to sit outside each evening with a glass of wine. We visited the places previously mentioned so chose to mention some that were not. Newport is a lovely little place with a small antique shop with loads of old books and trinkets. St Davids is so lovely-the abbey and Cathedral make it picture perfect. Walking along parts of the Pembrokeshire Coast path the views are stunning-but particularly love Ceibwr Bay and Devils Cauldron (if you aren't afraid of heights and cliff edges) Whitesands also lovely, too many to mention!! Had a brilliant week. Our third visit and again everything perfect in The Boathouse and the weather. Can't wait to come back next year. We find it very hard to leave this wonderful location, which offered us everything we were in search of. 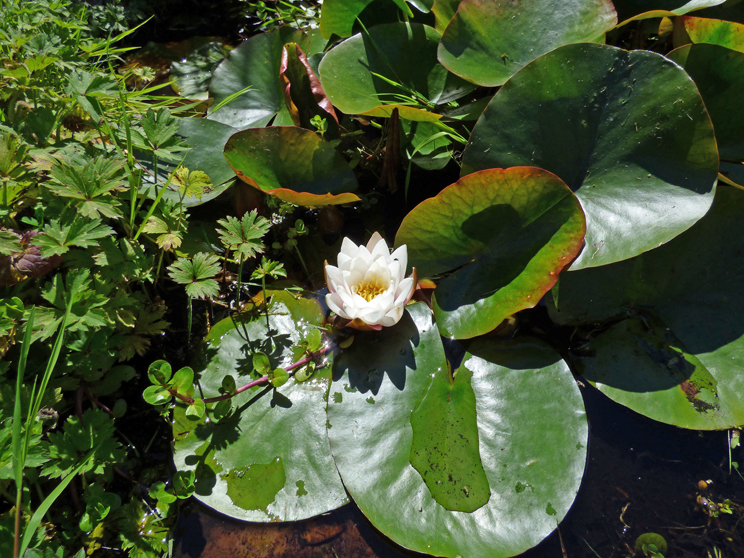 Relaxing days, lots to do and see and wildlife in particular. So may great coastal paths have been walked, with views of dolphins, Peregrinne Falcons and Red Kites. A lovely cottage ' The Boathouse' where we have been very happy and comfortable, our thanks to Venita and Gareth for providing us with everything needed for a lovely holiday, plus the extras supplied. We have had an extremely relaxing week here in the Boathouse. St Dogmaels is ideally placed to visit the local tourist sites. 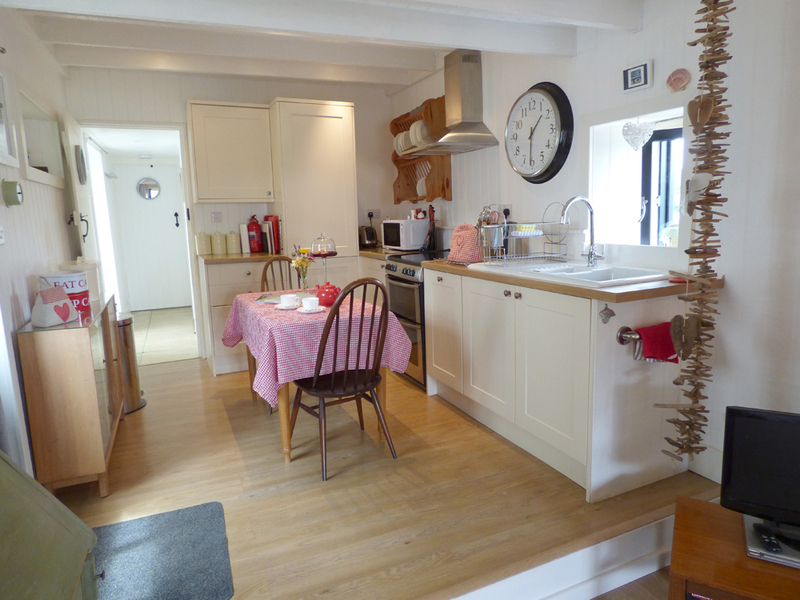 Everything you could want is supplied in the property, with 'extra' delights such as cake and milk as welcome additions. 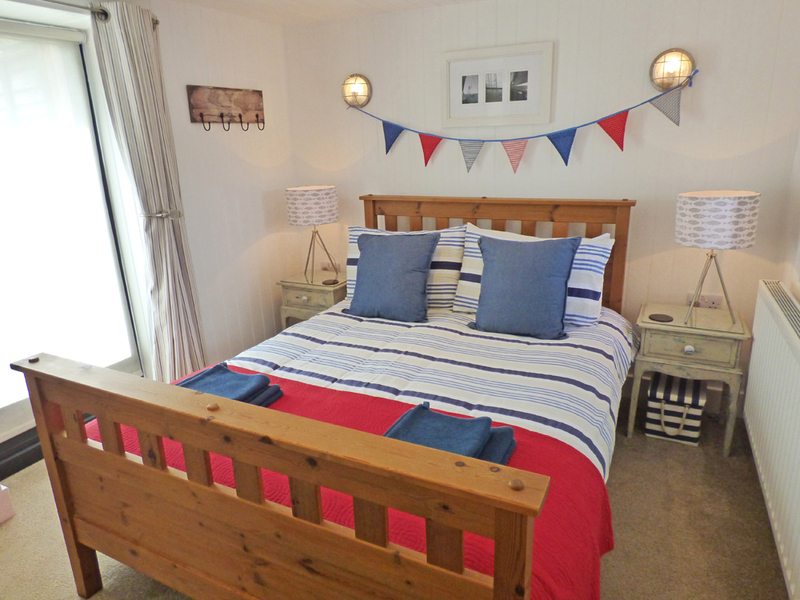 A really comfortable holiday home that we would readily book again. Beautiful location, lovely property - everything we needed. Saw lots of birds, scenery - we'll be back. Like other visitors, we've been very impressed by the make over. Lucky though to sample two separate settings. we've been coming to the area for years yo act in the abbey and are increasingly grateful for comfortable private space for rest and relaxation. If only it we not such a long drive from our bases, we'd be forever dropping by. Idyllic! 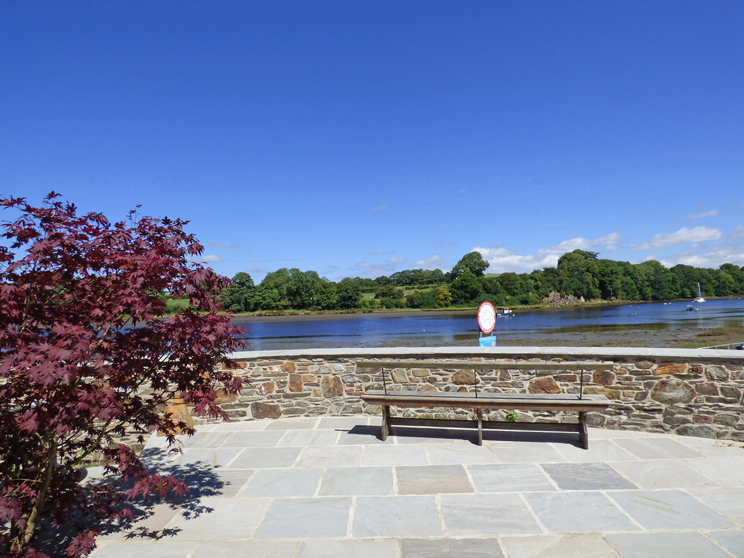 A haven of perfect peace next to the restful river Tefi. Love the location, the people and the laid back pace of the place. Long may it remain so definitely one to recommend!! Great location and lovely cottages. Weather was kind and lots to see and do here. Warm welcome. Fabulous. Our enjoyment here rises with the tides! A most enjoyable stay again. Being beside the river is perfect. I've loved watching the tides rise and fall. 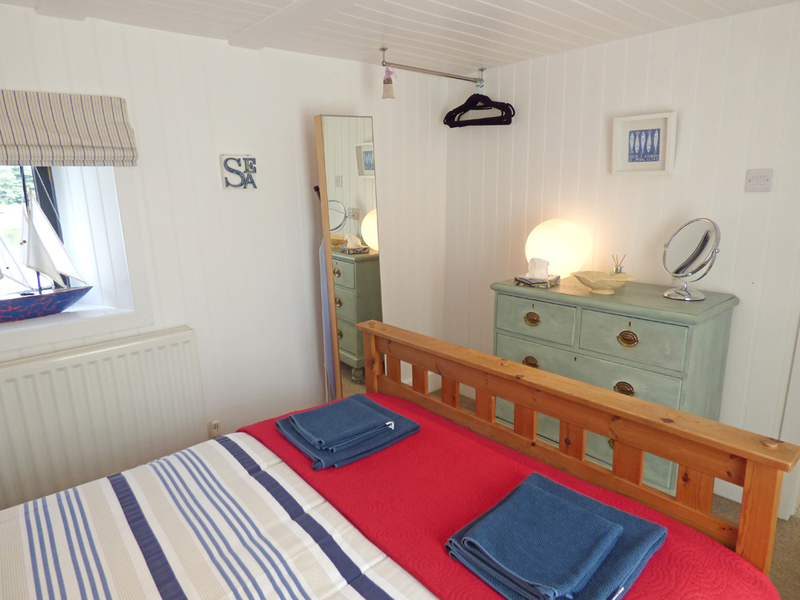 The Boathouse has everything you need and the area around is full of beauty and interest. Thank you. 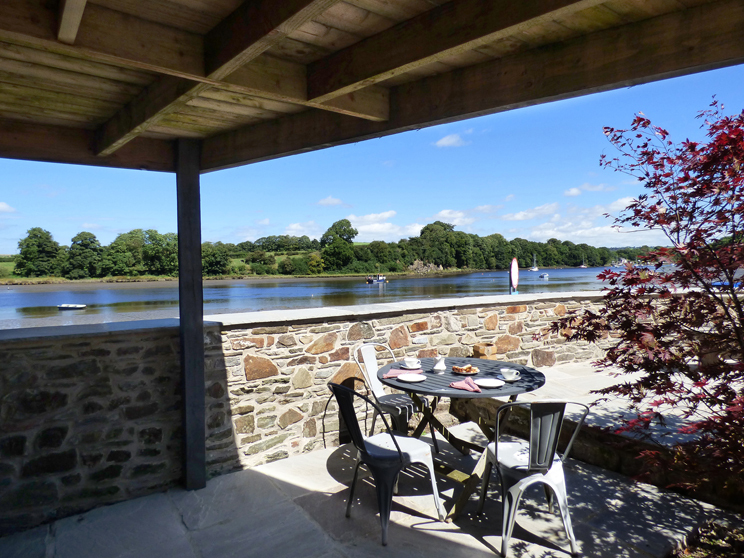 The Boathouse is warm, very cosy and relaxing with a wonderful view. It is picturesque and exactly as the brochure shows. Watching the various birds and their activities was both interesting and relaxing. Thank you for a wonderful break. 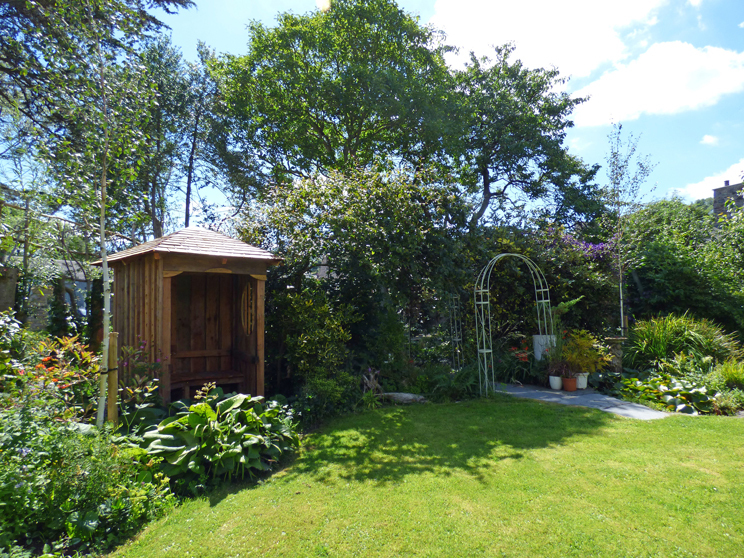 The property is approached from the main road running through St Dogmaels, through a set of pillars with wooden gates (7ft 8ins width). Allocated parking is along side the main house. 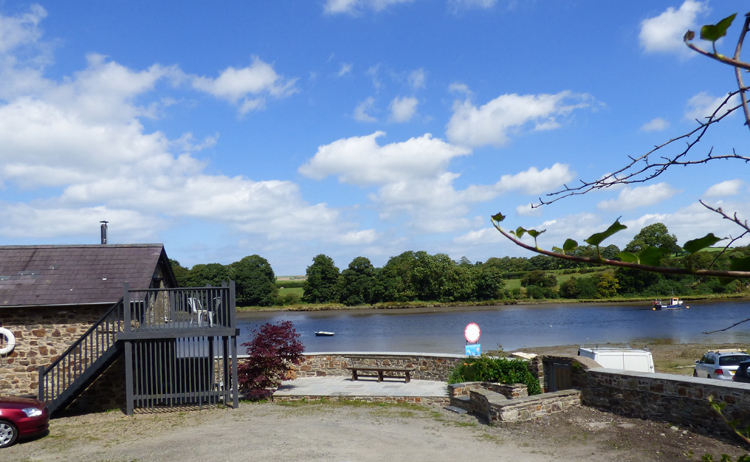 The Boathouse is situated at the back of the main property and visible from the parking space. The front door access to The Boathouse is to the side of the property via a half glazed stable door. There is a 2ins step 'up' into The Boathouse. The front door opens into the kitchen and there is a 6ins step down into the living room. The living room has 'opening out' and 'fold back' French doors onto a paved terrace. There is a 4ins threshold to step over. Access to the bedroom and bathroom is via a doorway from the kitchen and through a short passageway. The floor level remains the same level throughout, apart from a 2ins step 'up' into the bathroom. 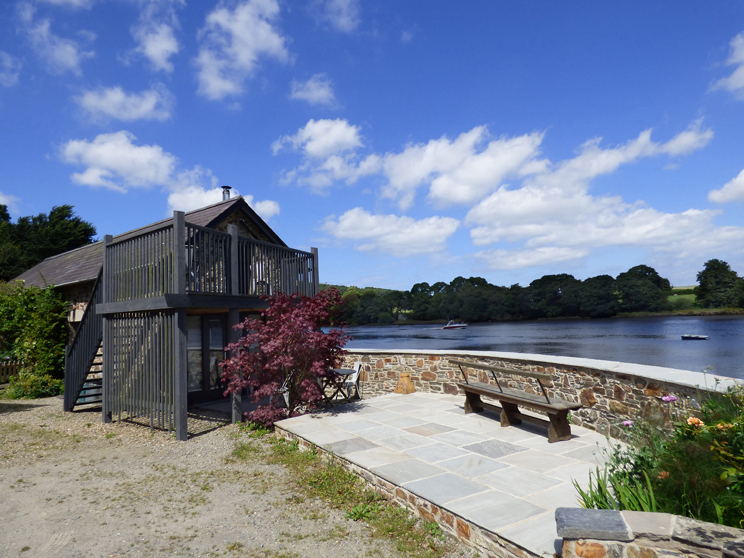 How would you like to contact us about The Boathouse?